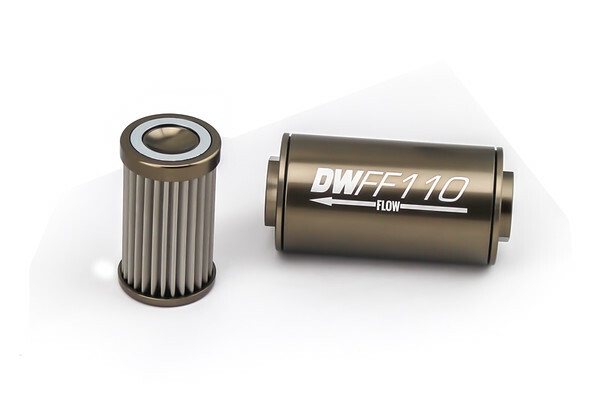 Today DeatschWerks is announcing the release of their new high flow in-line fuel filters. DW has taken an innovative approach in their development to accommodate the corrosive nature of today’s modern fuels. The increasing popularity of ethanol-based fuels such as e10 and e85 has created well-documented challenges in fuel system maintenance. 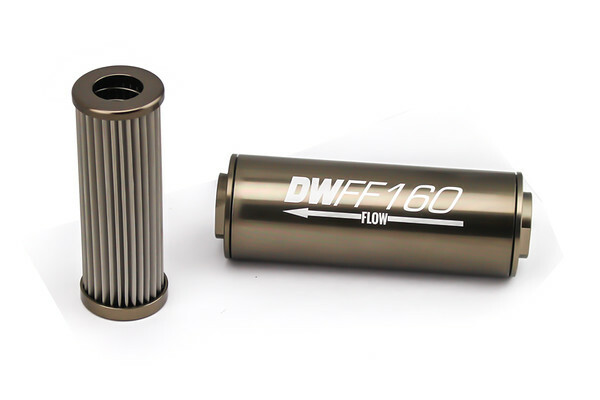 The new DW fuel filters feature an industry first dual-stage magneto-mechanical filter element. This provides an extra layer of protection by trapping contaminants of corrosion with a neodymium magnet prior to mechanical filtration. 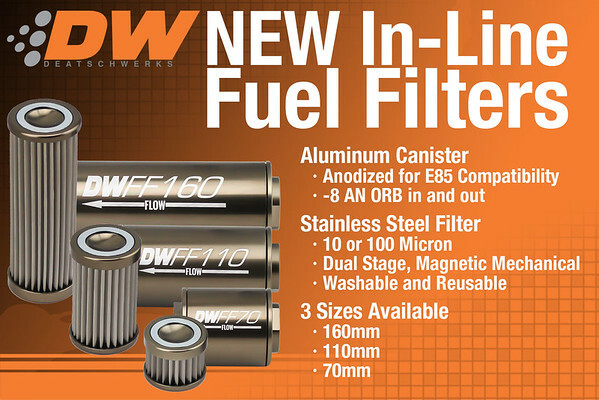 By incorporating pleated, high surface area, stainless steel filtering material, the new DW fuel filters work equally well in non-ethanol based fuels. The stainless steel filters are compatible with a wide range of fuels including pump gas, race gas, MTBE, ethanol, methanol, and diesel. 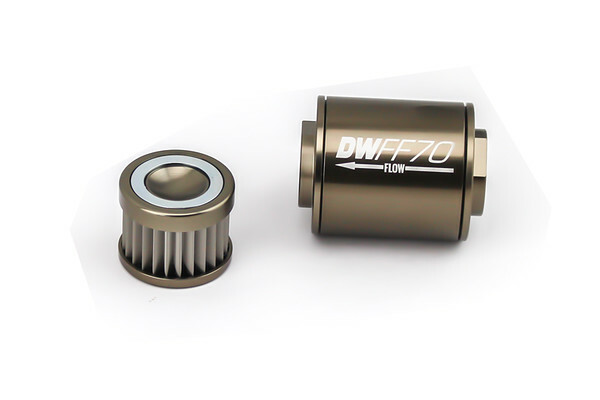 Superior life span, maximum fuel compatibility, and high temperature tolerance give DW stainless filter elements a distinct advantage over competitors’ glass and paper filter elements. DeatschWerks (DW) is a supplier of quality, innovative aftermarket performance fuel system components. DW provides application-specific fuel injectors and fuel pumps that are engineered as plug-n-play for the OE components they replace. DW product lines serve more than 100 vehicle models in both the import and domestic markets. Established in 2005, the company is privately owned and operates out of Oklahoma City, OK. For more information about DeatschWerks, visit our website at www.deatschwerks.com.